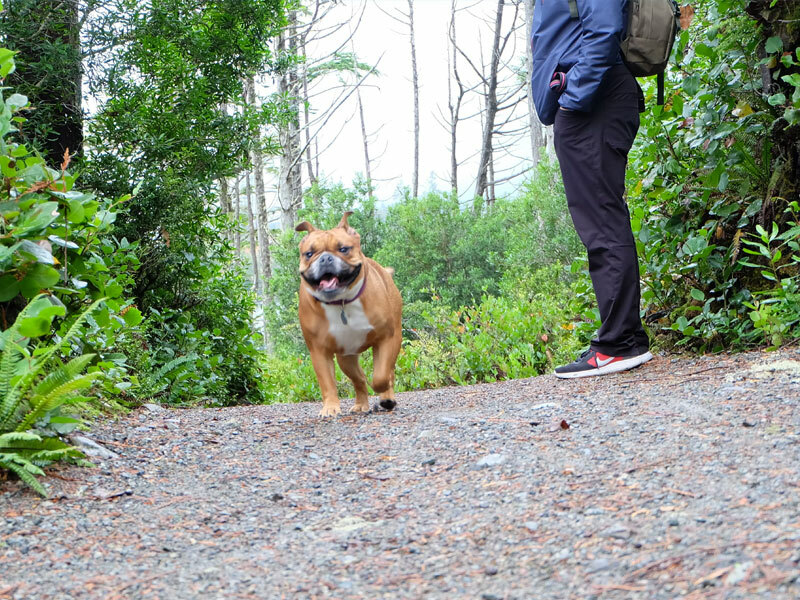 10 kilometres of hiking on moderate trails that overlook the rugged and spectacular coastline of Ucluelet. Amphitrite Lighthouse is located along the hike. This trail has been built over the years by local volunteers. The plan is to eventually link the trail to the Pacific Rim National Park. Wild Pacific Trail. We are within a 10 minute walk. 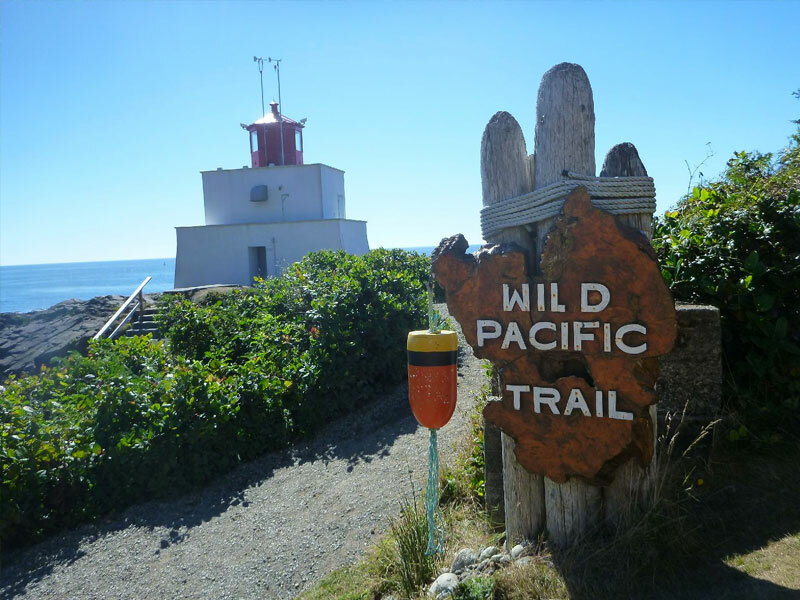 Wild Pacific Trail has become the spotlight of many Ucluelet vacations. 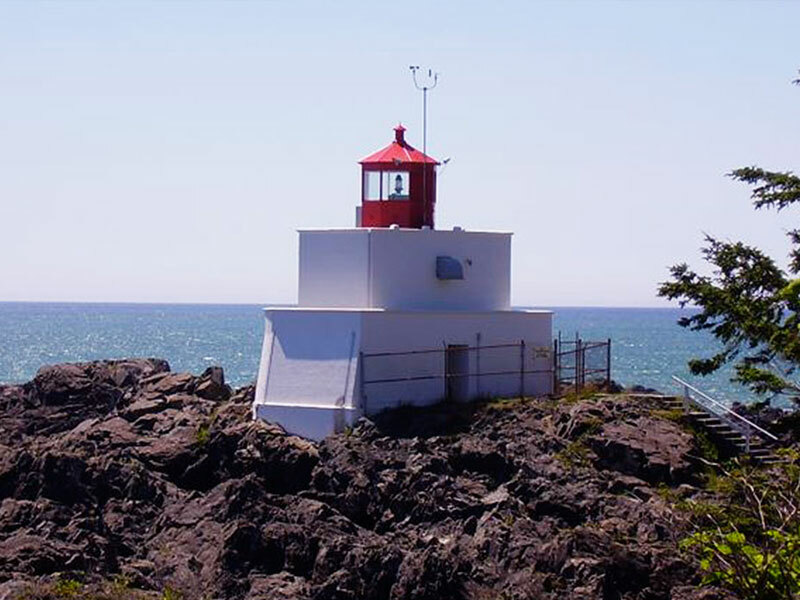 The trail curves around the rugged rocky shoreline of the Ucluelet peninsula, with breath taking views of the local lighthouse, Broken Group Islands and the open Pacific Ocean. It’s a must when visiting our area! Carefully hewn by hand through old-growth thickets of twisted trunks, limbs and roots, the trail is a natural treasure-house of forest treats, including untouched examples of gigantic nurse-logs, raised root systems, mosses, fungi, lichens and ferns – offering the photographer unique opportunities to capture close-up images of nature imitating art.